Why the NFL shouldn’t expand their Thursday night coverage and offering. That’s the leadoff segment of today’s WRN Sports Daily. Packers injuries and the College Football Playoff is coming soon. Here’s my thoughts on all three. The Green Bay Packers and Detroit Lions meet for the 168th time on Sunday at Lambeau Field. The Packers have dominated the series of late, including the last 22-games in Wisconsin. All signs point to the Packers rebounding from their loss at Cincinnati nearly two weeks ago. Coming off of bye weeks under Mike McCarthy, the Packers have a 6-1 record. They’ve also won eight straight home games and 21 of their last 22. How will Aaron Rodgers rebound from his poor performance at Cincinnati. If history is any indication, he’ll do just fine. After a loss to the Colts last season, Rodgers rebounded to throw six touchdown passes in a win at Houston. He’s also bounced back with impressive performances against the Vikings and Bears after losses over the last couple of seasons. The bye week seems to have worked well for the Packers. They’re as healthy as they’ve been in some time. A number of players are returning, with the two most important being LB Clay Matthews and TE Jermichael Finley. The Packers have only three players that won’t play this week. Running back James Starks and offensive lineman Greg Van Roten are both expected to miss a couple of weeks. Defensive back Casey Hayward is also expected to miss this week, but he went through practice on Thursday and could return by next week’s game at Baltimore. In the pressure department, the Lions have only given up three sacks in four games. The Packers only have seven quarterback sacks in three games. Green Bay needs to get after Matthews Stafford to slow the Lions red hot offensive attack. And on the flip side, Detroit’s success starts with their four interior lineman. The Packers have given up ten sacks and they’ll have to improve in that area this week. I’ll take the Packers to win 30-23. I have more on the matchup in the following video. The Dodgers clinch the NL West and celebrate with a jump in the pool. The Brewers fall to the Cubs and Kyle Lohse has an issue with the umpire. In the NFL, Kansas City and coach Andy Reid return to Philadelphia and knock off the Eagles, while the Packers prepare for the Cincinnati Bengals. Check out my thoughts on all four in today’s WRN Sports Daily. afternoon with a left ankle injury. He left the first preseason game against Arizona with the same injury, just one play into his first game. There’s certainly no indication that Jones will miss any regular season time, but just think about the bad luck the Packers have had with their first round picks. You have to go back to 2009 when they picked both B.J. 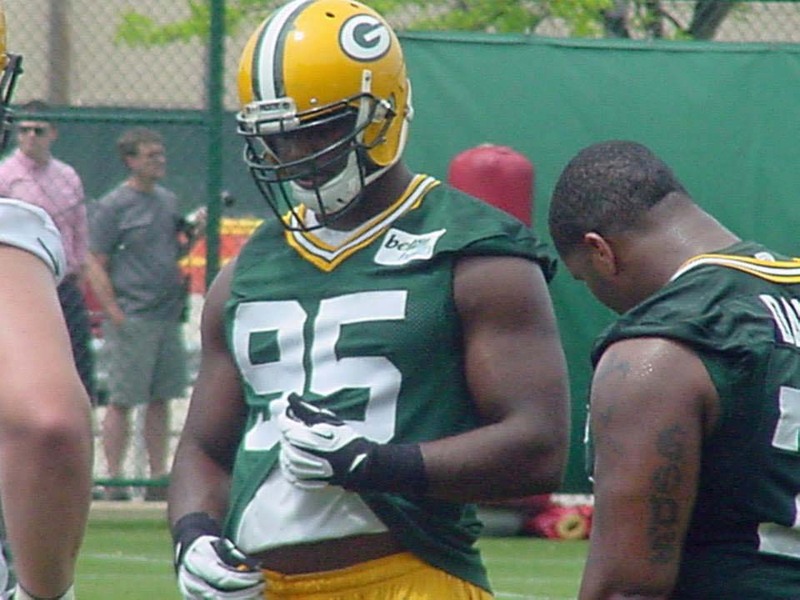 Raji and Clay Matthews. 2012 top pick Nick Perry missed most of his rookie season with an injury. Derek Sherrod (2011) broke his leg in his rookie season and is still fighting to return nearly two years later. And 2010 top pick Bryan Bulaga has made significant contributions to the team, yet missed the second half of last season (HIP) and is out all of this year (ACL). My thoughts on this topic and the latest on the Packers follow in today’s WRN Sports Daily. With Bill Scott out this week, I decided to share some thoughts on Packers Training Camp so far. Here ya go! With Bill Scott on vacation, I decided to tackle the WRN Sports Daily. Normally, I do “Home Stretch Hangouts” with my normal station, WSCO Radio in Appleton. Thought I would double it up for today with some thoughts on the Braun suspension. Thanks for watching! Is the Milwaukee Bucks finally doing things the right way? Owner Herb Kohl has been reluctant to go into a rebuilding mode, instead always signing whatever free agents he could get his hands on, in an effort to get into the playoffs. The problem is, that method, while it has occasionally led to a playoff appearance now and then, is not one that provides a lot of promise. Could Kohl finally be willing to take a step back to be able to eventually take a couple of steps forward? In today’s WRN Sports Daily, I offer my thoughts on the deal. The Milwaukee Brewers losing streak has reached 6-games following last nights 10-5 loss to the Washington Nationals. Fans are looking for heads to roll. I understand the frustration, but I also agree with the Milwaukee Journal Sentinel’s Michael Hunt, it’s too soon to be looking to fire the manager or general manager. What would that prove? Following are my thoughts in today’s WRN Sports Daily! 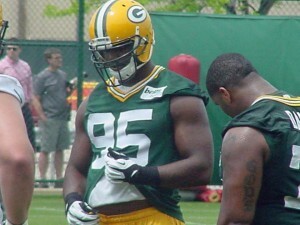 It’s quiet on the Green Bay Packers front with training camp still more than a few weeks away. But reporting date (July 25) and the first official practice (July 26) isn’t that far off. So in today’s WRN Sports Daily, I take a look at a few things to watch for as the Packers Training Camp and preseason fast approaches.